The summer came faster than we anticipated, as always. This time, however, our poor planning came at a time when Sophia, my youngest, was graduating from a beloved school. Shaker Road School is the independent school where both of my girls were nurtured and taught by teachers who embody all the best in what we call an "educator." Despite the occasional, "Sophia, please give some thought to teacher gifts," that I shot at her while racing her from something to something else in the car, we never came up with the thoughtful, heartfelt offerings I had imagined. I do remember suggesting home-made, sewn gifts, but she rejected those as gifts from me, not us. I am now having a hard time seeing the difference. So, I'm going to choose a collection of my quilts that are good enough for gifts to these esteemed educators, and I'm going to make labels and give them away. It's about time. MJ says she uses 6 king-sized pillows. Sounds comfy! This all came from my stash, which now holds a lot less red, white and black. That's good. I love these combinations. 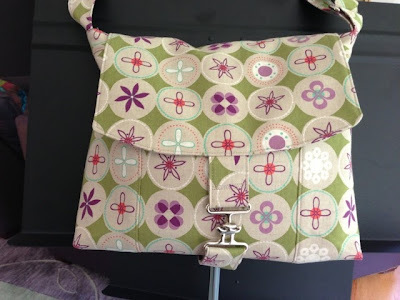 Had I completed this before ordering more fabric at Hawthorne Fabrics, I would have been net NEGATIVE in my stash log. Easy go, easier come? This messenger bag was created using a pattern by michellepatterns.com. The directions were clear, the images were good, and I found it easy to make. First, I was worried that the bag is a little on the small side for me, but it's probably better if I try to use smaller bags. 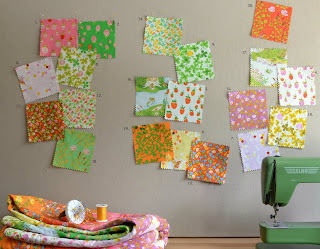 Heather Ross is my all-time favorite fabric designer. Her whimsical drawings and happy themes are everything I like about fabric. Well, she has done it again with Briar Rose, her latest collection. Some sort of contractual obligation has kept her production to a mere trickle, except if you wanted REALLY expensive pajamas to cut into fabric. I think she is back, since this fabric is from Windham, not the Japanese company through which the last few lines have come...at a premium. That fabric, though costly, was worth the price, as it was printed on a linen/cotton blend. It was just hard to stash it with the inventory I already hold. 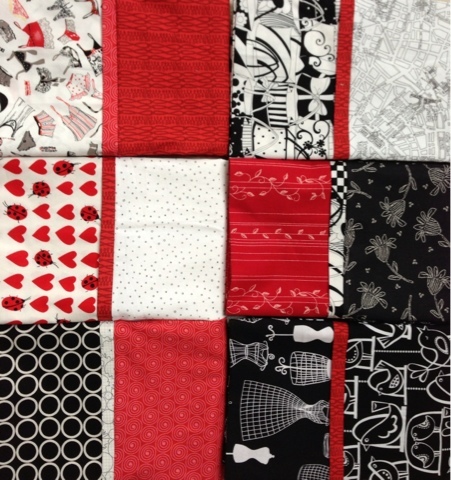 Oh, wait, I am making 6 King pillowcases for MJ, and that will account for 8.5 yards, and then there's the messenger bag I'm hoping to finish today; that makes 1 2/3 yards. That will be 10 yards when I'm done. Better get up there! This quilt was supposed to consist purely of flying geese, but I could not take it any more! 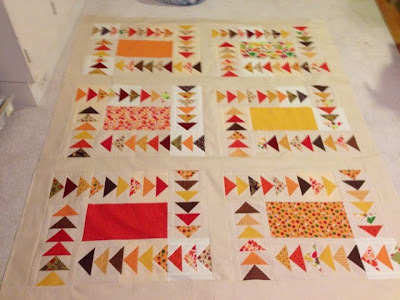 I had started it with the intention to do the geese using the Deb Tucker method, and then discovered the Connecting Threads tutorial to do them even easier, so it was too painful to continue. Also, with my recent sewing injury, (ironing elbow?) the trimming needed to make the geese was too unappealing. So I did this, and I like the final result. Backing is from stash! !